We Invite you to be Our Guest at the All New and Exclusive Luxury Oceanfront Condo Resort for the Discerning Traveler at Famous Waikoloa Beach . . . The Newest “Crown Jewel” of the Pacific Just Steps to the Sand . . . at the Stunning Kolea. 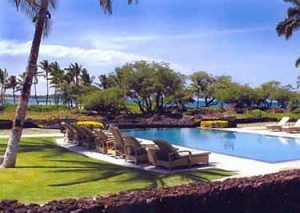 This Extraordinary Beachfront Oasis on the Sunny Kohala Coast awaits your Vacation Pleasure for the Upscale Traveler Accustomed to the Best . . . Featuring Spacious 2-Bedroom and 3-Bedroom Luxury Big Island Condo Rentals with World-Class Appointments and Resort Amenities . . . In Truly a Class of it’s own. Enjoy Breathtaking Views & Magical Sunsets from your Big Island Condo Rental . . . Just Steps to one Of the Nicest Beaches at “Anaeho’omaulu Bay” with its’ soft sands and gentle waters framed by Swaying Coco Palms – from the Private Lanai of your Own Big Island Villa. Experience the magic of the Outdoor Living Area featuring such world-class appointments that showcase Rich Koa Cabinetry, Wet Bars, Sinks, Gas Grills, under- counter Wine Coolers – with 9″ x 18″ retractable doors, bringing outdoor living Inside! Kitchens with Imported Stone Counter-tops, Private Elevators (to the 2nd and 3rd floor Villas) and Rich Hardwood Flooring Throughout each Residence. The Designer-Decorated Decor is simply Stunning . . . and the Oceanviews are Breathtaking! In-Suite Laundry Rooms with Washer/Dryers will complement your Stay, along with Concierge Service. For your Added Vacation Pleasure, your Big Island Luxury Condo Resort Destination Masterpiece features stunning touches that Showcase a Private Beachfront pavilion with a Natural Lava-Edge Pool, relaxing chairs for lounging and private kitchen perfect for that special occasion. You’ll also enjoy Direct access to the Gorgeous White-sand Beach; Private health club with spectacular views of the pool and ocean; & infinity pool overlooking the shoreline. 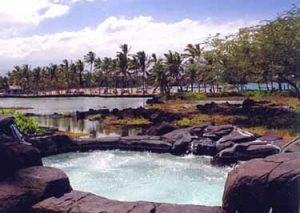 Other amenities feature a Natural lava Spa Hot Tub, Open-air Cabanas with table and chairs & a separate children’s pool complete with Sand Bottom and a waterfall. For the Sports Enthusiast, you’ll enjoy 36 holes of Championship Golf, wonderful Tennis Facilities & Scenic Jogging Paths. The Best Selection of World-Class Shopping is just moments away at the beautiful King’s Shops – boasting the best selection on the Kohala Coast. Fine Restaurants and Dining are just moments away. 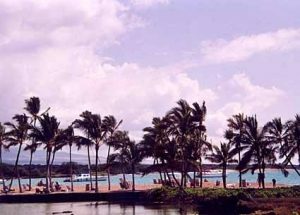 Enjoy Luxury Oceanfront Resort Living in Every Sense of the Word from the Privacy of your Own Luxury Big Island Condo Rental at Stunning Waikoloa Beach-Resort . . . For the Upscale Traveler accustomed to the Best . . . at the World-Class Kolea Resort. Welcome to Paradise Found! 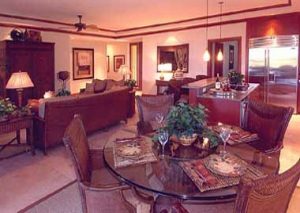 Your Luxury Oceanfront Big-Island Condo Rental Features Your Choice of Stunning 2-Bedroom Big Island Villas that accomodate up to 6 Guests; Or Luxurious 3-Bedroom/3-Bath Residences that Accommodate up to 8 people. All Linens & Towels provided. Kings/Queens/Twins & Queen Sofa Sleepers. Exclusive Guard-Gated Vacation Destination Masterpiece. . . For the Upscale Traveler Accustomed to the Best! Award-Winning Lush Tropical Grounds & Gardens . . . In a Class of its own! World-Class Shops & Restaurants . . . Just Moments Away.